Google brought Chrome OS 53 to a stable channel (v53.0.2785.103) earlier this month but did not bring the much anticipated Android apps support along with the release. Now the search giant has brought the beta version of Google Play to Chrome OS 53 with an update to stable channel version 53.0.2785.129. 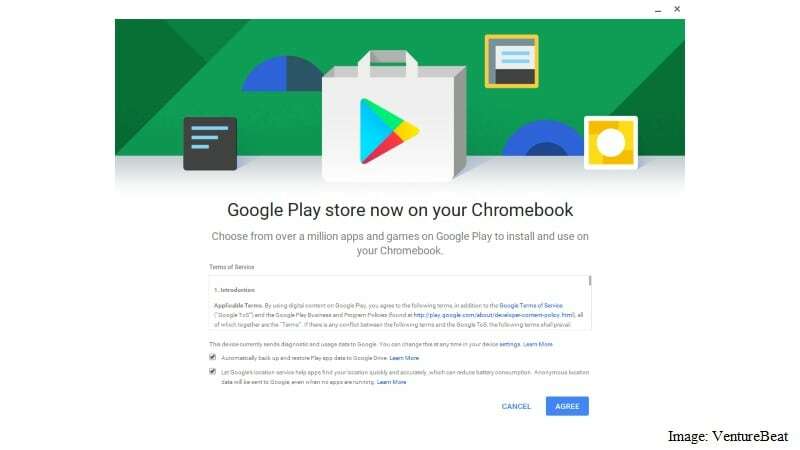 On its release page, the company confirmed the latest stable channel release was meant only for the Acer Chromebook R11 and Asus Chromebook Flip right now, and detailed availability of the Google Play app in beta. The Chromebook Pixel (2015) was not listed, which raised some eyebrows, as it was these three laptops that had support for Android apps and Google Play in the beta channel. Speaking to Venture Beat however, a Google spokesperson indicated the Chromebook Pixel (2015) will also get the update soon, “A beta release of the Play store is available to users now on the Acer R11 and Asus Flip (and coming soon to Pixel 2015) and can be enabled from the Settings page.” These three laptops, alongside the HP Chromebox CB1 and Acer C7 Chromebook, did not receive the last stable channel update. It should be also noted that Google Play is disabled by default and requires to be manually enabled from Chrome Settings with the latest update. To recall, Google Play made it to the Dev channel of Chrome OS in June and the Beta channel in August. Now it has finally made its way to the stable channel. The v53.0.2785.129 update also brings bug fixes, security updates, and feature enhancements, apart from a kernel version update. For now, it’s still not known when Google will bring Android app support and Google Play access to all other eligible Chrome OS machines. Chrome OS 53 added Overview mode, which allows you to see all your open tabs with a shortcut key or three finger swipe on the trackpad. The update also brought along Material Design Layout to the build. Google also added new APIs to the Chrome OS 53 that allow you to enable the watchdog timers for kiosk apps that utilise full-screen modes on Chromebooks.